Chua Sock Koong is a typical case of luck favours the prepared! 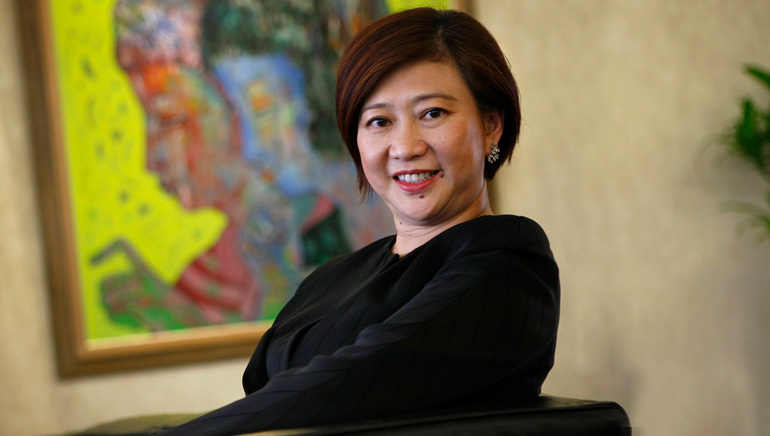 A trained accountant, Sock Koong started her career with the Singapore Telecommunications Limited (SingTel) as a treasurer and worked her way up to become the CFO and then the Group Chief Executive Officer, thus being one of a few women in the world to head a communications company. The phenomenal rise in her career graph is worth inspiration. SingTel, Asia’s leading communications group, is the largest listed company on the Singapore Exchange by market capitalisation. SingTel connects 550 million mobile users across 20 countries and has won numerous accolades under her leadership. Sock Koong also sits on the Boards of Bharti Airtel Limited, Bharti Telecom Limited and key subsidiaries of the SingTel Group, and is the member of the Singapore Management University Board of Trustees and the Public Service Commission. Making a bold move in the recent past, she urged regulators to give carriers such as Optus the right to charge rivals such as WhatsApp and Skype for use of their networks or risk a major decline in network investment. Sock Koong believes the future of the telecom industry lies in the digital space, smartphones, apps and cloud computing, which she plans to brighten further under her broad exposure, significant experience and proven leadership.